Ultra-magical stickers, puzzles and colouring. Cute from their rocking locks to their tippy toes. Big hair. Big hearts. That’s the Zelfs. Now they’d like to show you their enchanted world. 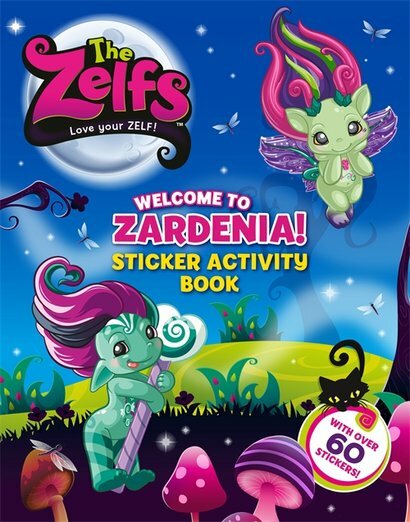 Come on a sticker tour of Zardinia with these fur-raising cuties. It’s like going round to a friend’s house for tea – but way more magical. A twilight moon will rise in the sky. A secret garden will appear. Best of all, Buttershy, Vampula, Spellinda and their buddies will show you all their fabulous Fabitats.